Elephants never forget how to open a bottle of wine! 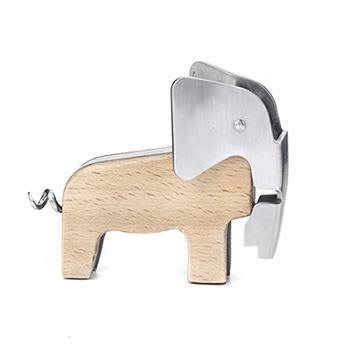 His trunk unfolds into a bottle opener, and his tail becomes a corkscrew. Size: W-3.8" x H-3" x L-1.3"